Kensington Publishing Corporation, 9780758269447, 295pp. After six years of marriage, Anna and Jake Campbell have settled into a routine of daily responsibility and familiar comforts. The demands of raising two small children--three-year-old Chris and baby Eddie--take a toll, especially combined with Jake's schedule as an orthopedic surgeon. But together, cautious Anna and calm, optimistic Jake negotiate, sometimes gracefully, sometimes not so much, every obstacle that comes their way. Until the night Eddie gets sick. When Anna phones Jake at work to seek advice, he reassures her that Eddie has just caught her cold. But with the morning light comes the terrible realization that her baby is seriously ill. Guilt-ridden, deeply angry, and shell-shocked, Anna spends bottomless hours alone in the ICU where Eddie teeters on between life and death. In the days that follow Eddie's diagnosis, grief gives way to recrimination and accusations. Anna, focused only on her younger son, ignores Chris's need for attention, while Jake is drawn to an old temptation. And the six steady years Anna and Jake have spent together--years of give and take, hope and hardship, inside jokes and shared memories--seem suddenly fragile and fleeting. 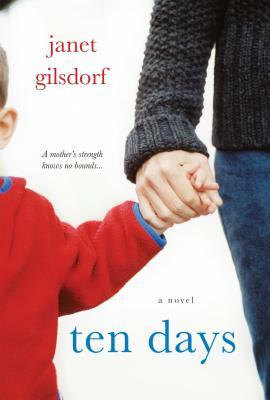 Ten Days is a beautifully written and compelling story of the simple, momentary choices that come to shape our lives, of love tested to the limit, and of the myriad small triumphs that can become our greatest joys.